Sensory deprivation–the floatation therapy used here at The Flo–allows your mind & your body to return to a blank slate. While you’re suspended in the tank, your body can relax, get back to zero, and your mind can be free of distractions that buzz around in our normal environments. It basically helps you return to your factory settings. But did you know it can help your athletic performance? We know it helps reset the system, allows for stress relief, and helps with insomnia. Beyond all that, flotation therapy is actually an awesome resource for athletes looking to enhance their performance. The quick answer: Athletic performance is about the balance between your physical & your mental skill. Flotation therapy helps with both! The slightly longer answer: Sensory deprivation can help you to increase your energy, reduce your healing time, & teach you focus. Add this all together, and it helps you better visualize (and achieve) new goals & milestones in your athletic performance. With these benefits, sensory deprivation can rapidly shorten your healing time to make sure you’re back on your feet, training again at full health. The experience of floating alleviates the pressure points that put stress on your body. Reduced pressure leads to reduced or even eliminated pain. In fact, athletes often report feeling relief from pain caused by injuries or chronic pain within just ten minutes of sensory deprivation. With your muscles relaxed, your body can float & heal simultaneously, free of the stress normally accompanied by other healing methods. With this suspension & release of the strain on your muscles, healing can be your body’s sole focus. Floating can help your body get over fatigue more quickly. With increased blood flow, your improved circulation will help expedite your healing. As a result of a quick, full recovery, you can be back to training without risking injury. Flotation therapy helps clear out the clamor we usually have to deal with rattling around our brains. We’re not thinking of everything we have to get done, we’re not hearing a hundred little noises that each remind us of something else, we’re not smelling a snack from someone nearby, reminding us how hungry we are–we’re just floating. This sort of sensory deprivation can override the overload normally in your head & help you focus on one thing. With the simple practice of visualization, you can pick one thing, one aspect of your performance to improve, and focus on that. We’ve seen the results, and just this small practice can help enhance that skill when you’re back to training. It’s called mental rehearsal, and it helps you focus singularly on your performance. Using this trick to hone in on how you want to enhance your performance can actually help you achieve it. After a session of flotation therapy, most people report a fuller & more restful night of sleep. This along with the increased blood flow & relaxed muscles can help athletes make the most of their quick recovery. Athletes come back well rested & fully recharged with new, intense focus & visualization–and all of this boosted energy can be used to train better than before. 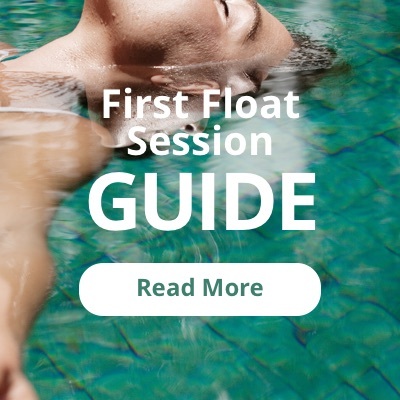 Curious about trying out a Flotation Therapy? Come see us down at The Flo on Allen, in the city of Buffalo. We’d love to have you come and relax with us.